a historic archive of a lifetime of service. This page is very incomplete and probably has some errors. If you visited PROJIMO, or have information that can help me fill out this timeline, please let me know. David Werner - initiator, facilitator, author of "Where there is no doctor"
a new program is being planned. release of 1st video documentary: "Project PROJIMO"
Molly Bang visits PROJIMO in Dec. 1986, and will later write a children's book based on Vania's story. PROJIMO has seen patients from 11 of the 23 states in Mexico. Where have the children gone"? David Werner article: Where have all the children gone? Hesperian distances itself from David Werner, withdraws financial support from PROJIMO. start of 'Mas V�lidos' in Culiacan by 2 former patients-workers of PROJIMO. First mention of intent to move the program away from Ajoya. 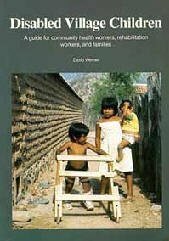 Suzanne C. Levine publishes book "Volver a vivir / Return to Life"
Drug-related violence paralyzes PROJIMO's activities in Ajoya. A decision is made to move to Coyotitan. Contacts are made and preparations are started. PROJIMO searches for and finds a rental location in Coyotitan. A clinic is opened in Coyotitan. Book: "Nothing about us without us." March 3-8 1998: training seminar for 'mediators' of Stichting Liliane Fonds (Ndl.) with 60+ participants. Ajoya: PROJIMO Skills Training and Work Program. Charlotte Beyers films "Our own Road", released in 2000. PROJIMO splits, some stay in Ajoya. Skills Training and Work Program. movie: "Our own Road / Nuestro Camino"
Coyotitan obtains legal status as A.C.
Liliane Foundation funds construction of therapy room. Rotary club Culiacan funds a wheelchair van. movie: "Viviendo de Nuevo con Dano Medular"
movie: "Una Protesis para Jos�"
The new therapy room is built. Paula Gijsman (Ndl.) sends container with donated equipment. Duranguito initiates new programs out-of-state. Pan para el Mundo discontinues salary subsidies. makes an episode loosely based on project PROJIMO, but set in a city environment. Lupe Quintero (Nogales, SO) learns wheelchair building in Duranguito. Ted Weston, American citizen and former co-worker of Healthwrights and PROJIMO, is murdered on the PROJIMO grounds in May 2012. An important source of information for this was the Newsletter of the Sierra Madre. Another source was a time-line of PROJIMO compiled by Berenice in the context of her social service report. Pictures that have been dated with some certainty are displayed on the page of that year.